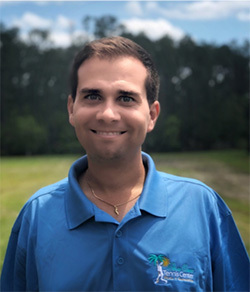 Michael Arrigo joined the Palm Coast Tennis Center (PCTC) in the fall of 2017 coming from Jacksonville where he served as the Head Tennis Professional for Julington Creek Plantation. Michael has gathered a breadth of experience working for some of the most successful tennis operations across the East Coast throughout the course of his ten years in the tennis industry. Michael has been a certified tennis Professional and Accredited Professional Coach with the USPTA since 2011. He is committed to personal and professional self-betterment and he values continuing education opportunities. He holds credentials and accolades from the USTA, USPTA and other industry organizations in areas of Tennis Business Administration, Community Tennis, Sport Science, Player Development, Ten and Under Tennis, High Performance Coaching, Early Athlete Development, Cardio Tennis and Tournament Administration. What is your philosophy on tennis and coaching? What do you like about working at the PCTC? Our Parks & Rec Department is comprised of an extremely competent team of passionate professionals. I am privileged to work in such a positive and productive environment with so many talented and wonderful individuals. 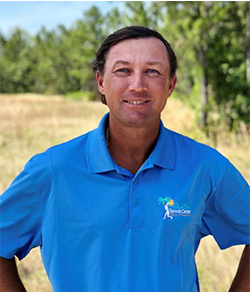 Roman Branapolskiy was born in Moscow but he's been teaching tennis throughout Flagler County and the surrounding areas for the last decade. After leaving Russia and before landing in Florida, Roman spent time in New York where he competed collegiately for New York College. He also played on the professional tour. Roman is a PTR certified tennis teaching professional. What do you like about working at PCTC? Jorika is from South Africa and has a background in elementary education. Prior to coming to Palm Coast, she worked as a tennis pro in New Jersey. 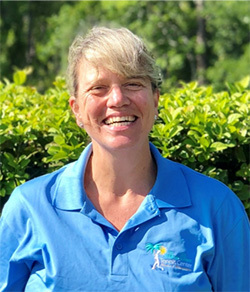 Jorika served as a ten-and-under tennis coordinator in Flanders, NJ for one of the largest private tennis companies in the country. Jorika is a PTR certified tennis teaching professional. Palm Coast Tennis Center attracts a wonderful group of diverse families that are a genuine pleasure to work with.